The craft of artist designers (as opposed to engineer designers) — is to design an artefact that both functions — a house stands up, a toaster toasts bread — but also communicates. Not just what it is and how to use it but what it means to people. We read the difference between a house and a hospital, a medicine bottle and a perfume bottle. There is a language of architecture, of products, of graphic communication that people may not be conscious of but they read it. Is there yet a language of interaction design? And if so, can we teach it to our colleagues? About Gillian: Originally a graphic designer Gillian Crampton Smith founded interaction design programmes at St Martin's School of Art and the Royal College of Art in London, and in 2000, invited by Telecom Italia and Olivetti, the research and teaching institution Interaction Design Institute Ivrea, Italy. 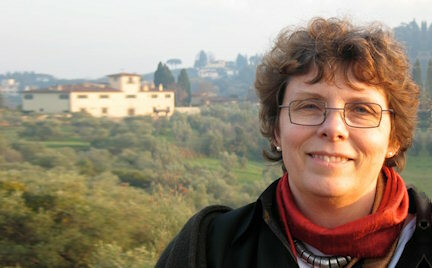 In 2006, with Philip Tabor, she started the Interaction Design programme at Iuav University of Venice. She has always enjoyed collaboration between business and academia and between design and engineering, believing that they have much to learn from each other. Her collaborations have included Apple Computer, Interval Research, H-Farm, IDEO, and she is a Research Affiliate at MIT.